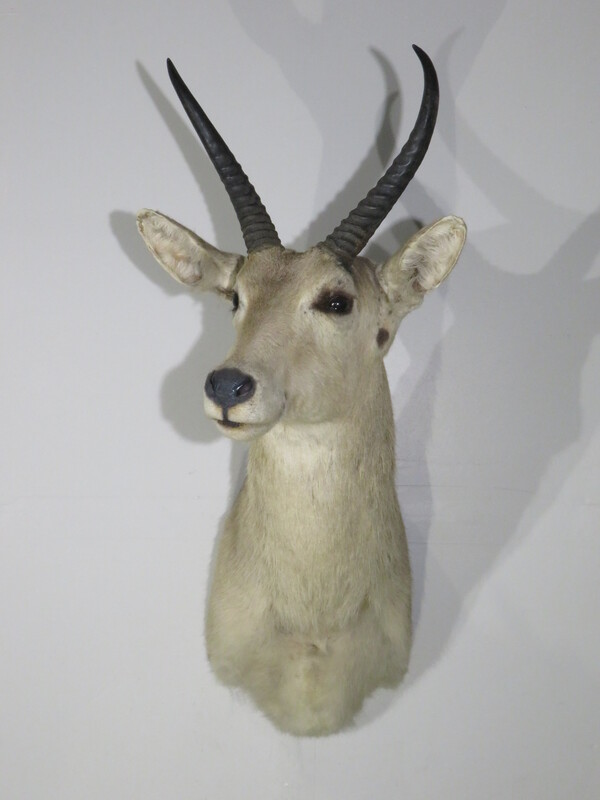 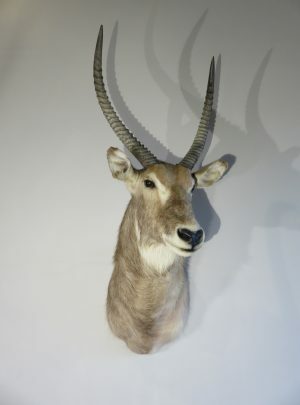 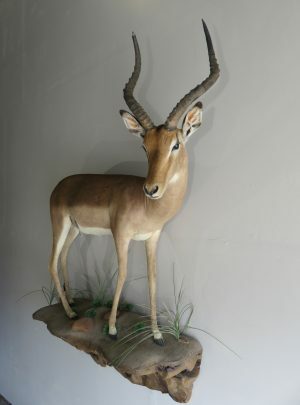 Here is a great looking shoulder mount of an African Common Reed Buck. 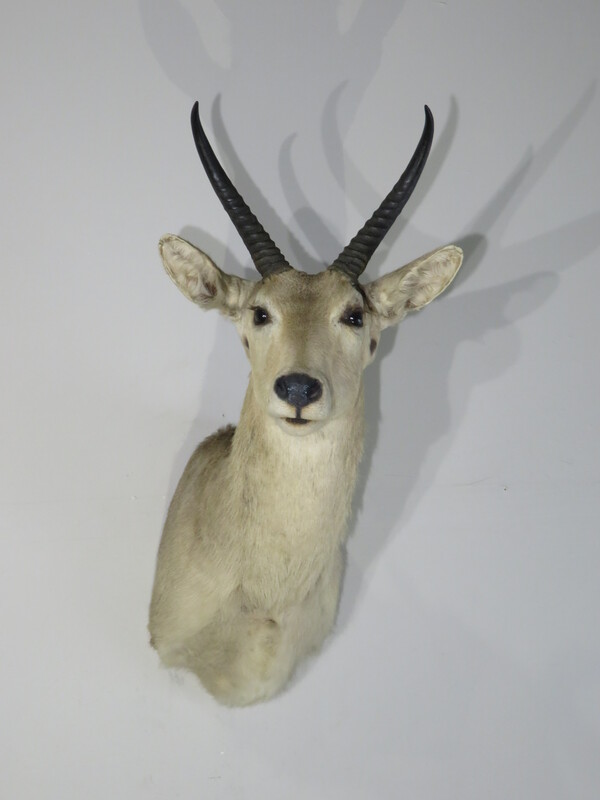 Pose of mount is head up and facing his right, looking into the room. 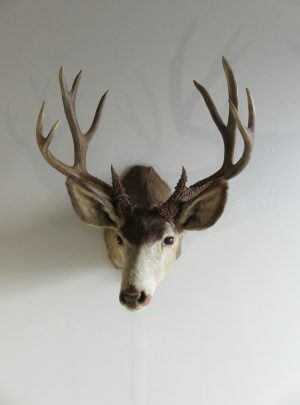 Excellent quality workmanship by the taxidermist on this buck. 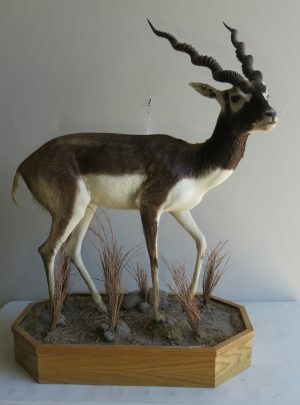 Taking into account the appearance and subject, we have awarded this mount an overall grade of “Premier”. 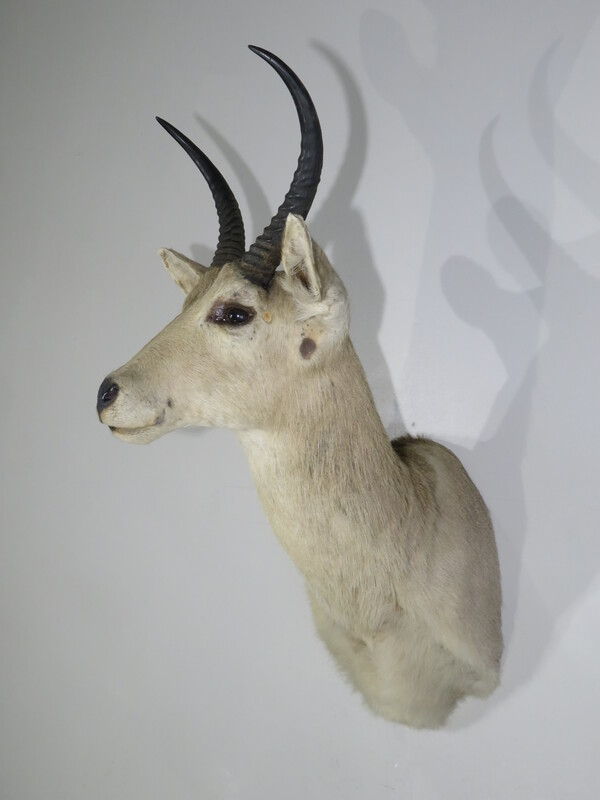 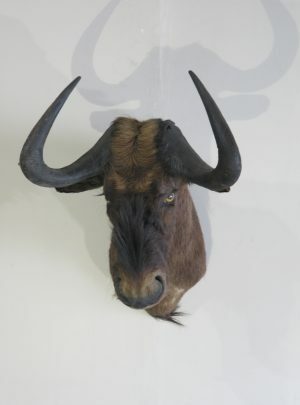 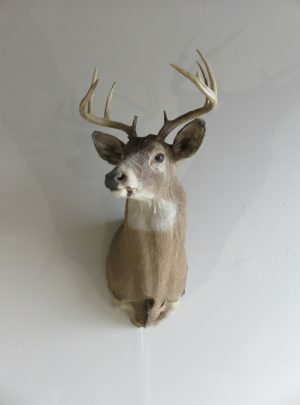 Overall mount dimensions are: 21″ from wall to nose, 34″ tall to top of horns, and 15″ wide. 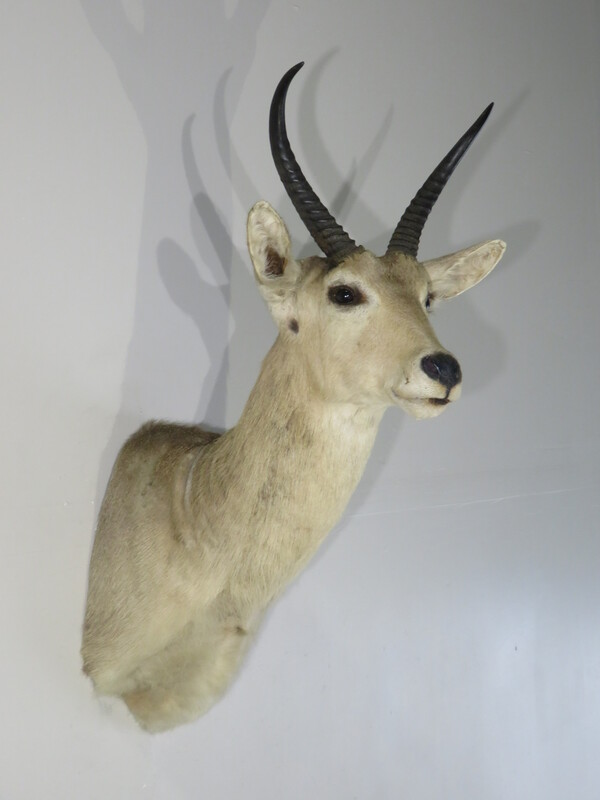 Mount hangs on a single, well-secured screw for display. 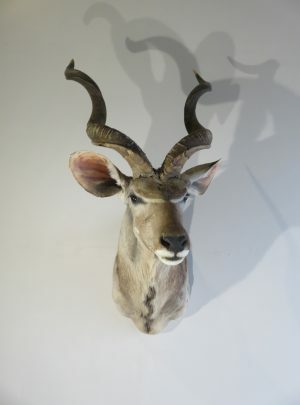 He would make a great addition to any African game species collection. 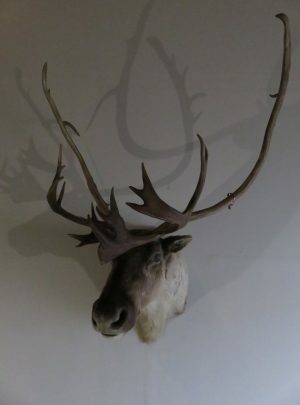 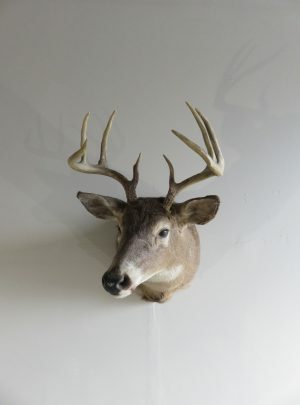 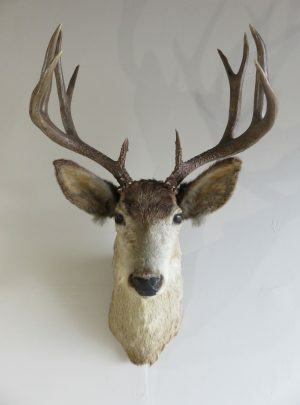 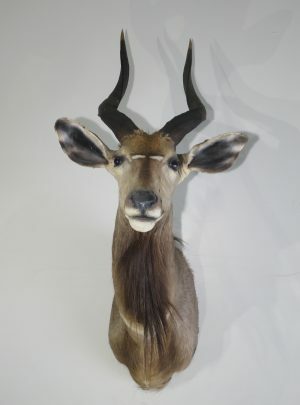 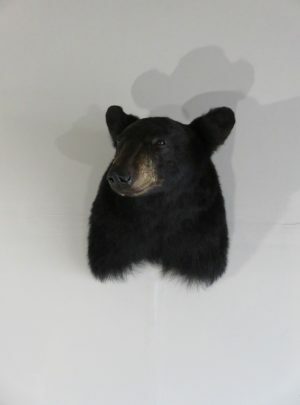 Display him in any home, lodge or business with pride in this high quality taxidermy shoulder mount. 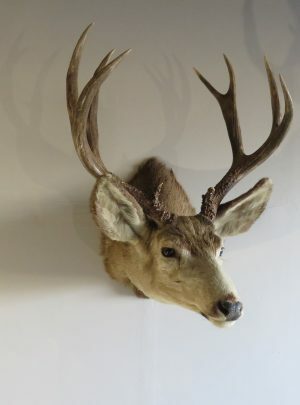 Horns on this buck measure 10 2/8″ and 10 1/8″ with bases of 5 6/8″ each. 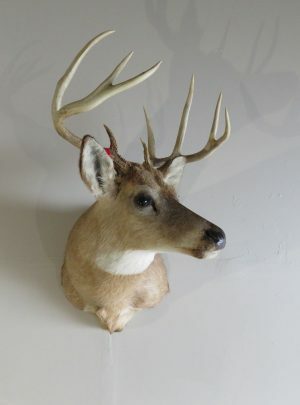 Total raw score of 20 3/8″ (SCI).